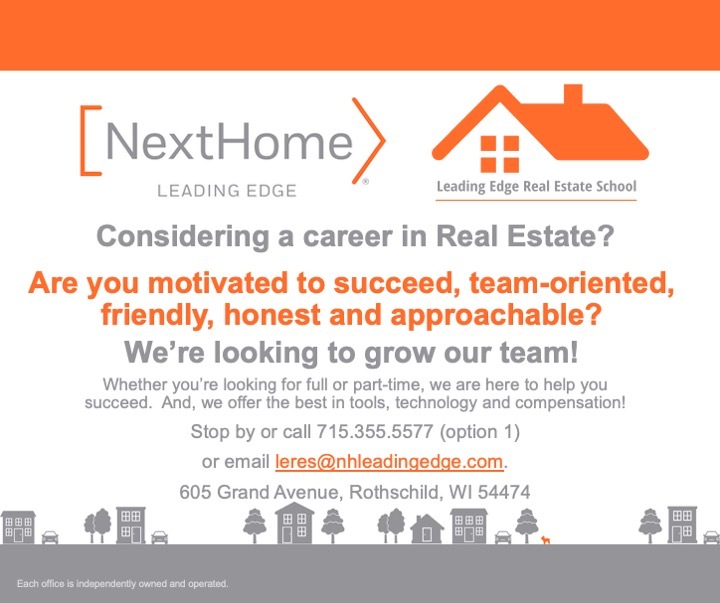 Considering a career in Real Estate? Wouldn’t you love a job where your income is only limited by your motivation and desire to succeed? We are currently interviewing experienced agents and new candidates with a strong desire to become a successful agent. From completing the state required training to passing your state exam, we will help you do it! NextHome Leading Edge is a progressive real estate franchise with consumer focused branding, technology and marketing. We focus on collaborative partnerships and effective products for business development, growth and relevance. Our agents are the focal point, and the most valuable source of guidance, knowledge and information for buyers and sellers.